Meh. I was bored so I drew Rusty. No. 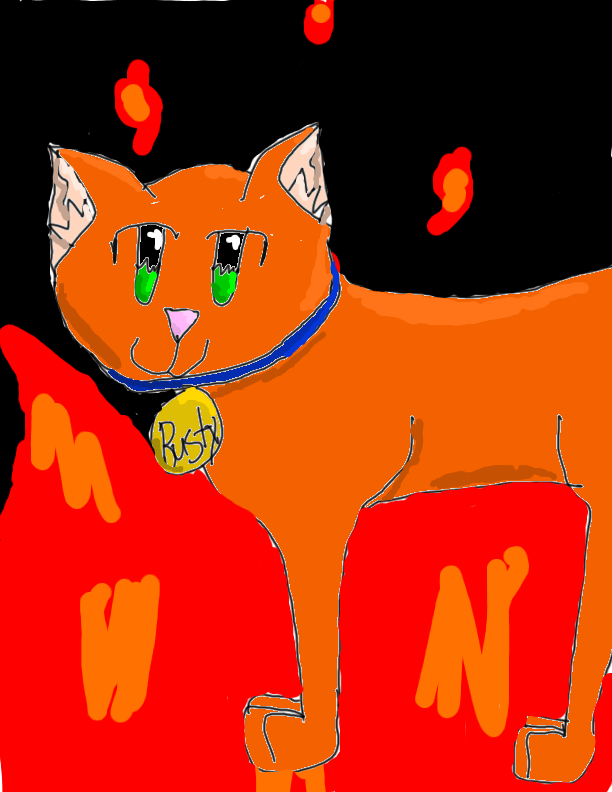 I do not like him (sorry, Firestar_Rocks). I was suffering from loss of drawing graphic art. I think I'll make a battle with blood clan AMV on scratch with the song Frontline (by Pillar). Re: Rusty. He haz been drawn. coolz! a little critisizim: try using the pencil on gimp for a smoother, less white-outlines outline. and the collar is too big for Rusty. XD it still looks good, though. Umbreon101 wrote: coolz! a little critisizim: try using the pencil on gimp for a smoother, less white-outlines outline. and the collar is too big for Rusty. XD it still looks good, though.